Corinthian is a beautifully laid out church website design that is clean and crisp. And its diverse content layout serves both first-time visitors and members. Corinthian features the logo, navigation, primary image, and tagline all above the fold on most laptop computers. Scrolling down the website, you will see a featured sermon, featured event, multiple quick link graphics, and a section where you can display your latest blog posts or articles. 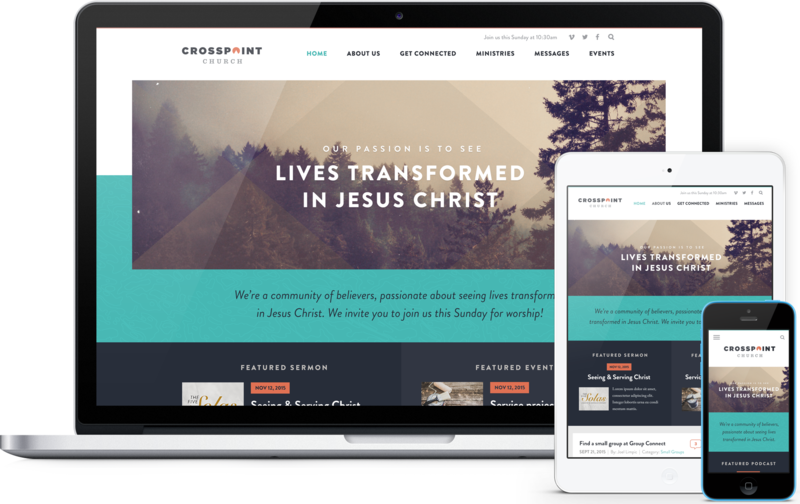 If you are looking to display multiple types of content in a clean design, then the Corinthian website design is for you.